I will start off by saying this drink recipe is bad and boozy ;). 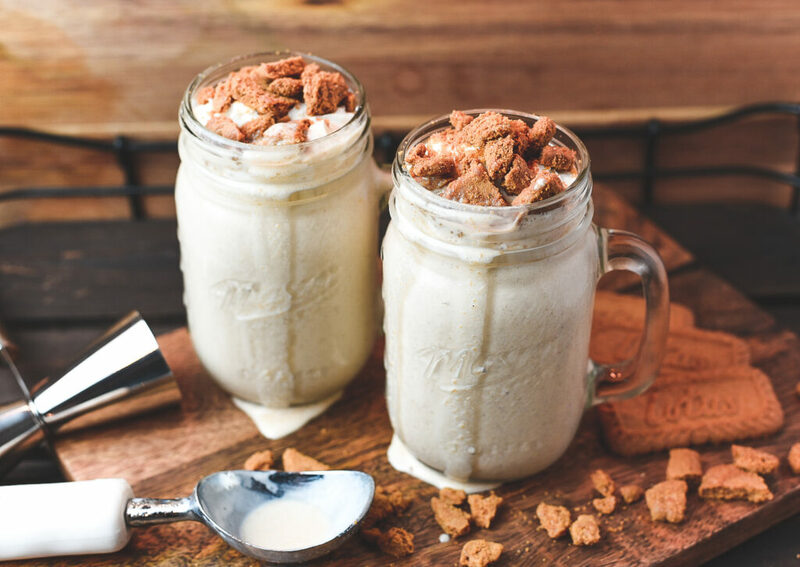 It doesn’t matter if you are battling the summer heat or snuggled up on a cold winter night – this adult milkshake recipe is off the chain. My first time enjoying a Biscoff cookie was during a Delta Airlines flight. Since then, I’ve been know to grab a package (or three) just to have in the pantry for a quick sweet snack. Just here recently, I took my daughter to grab something sweet and she ordered a milkshake. 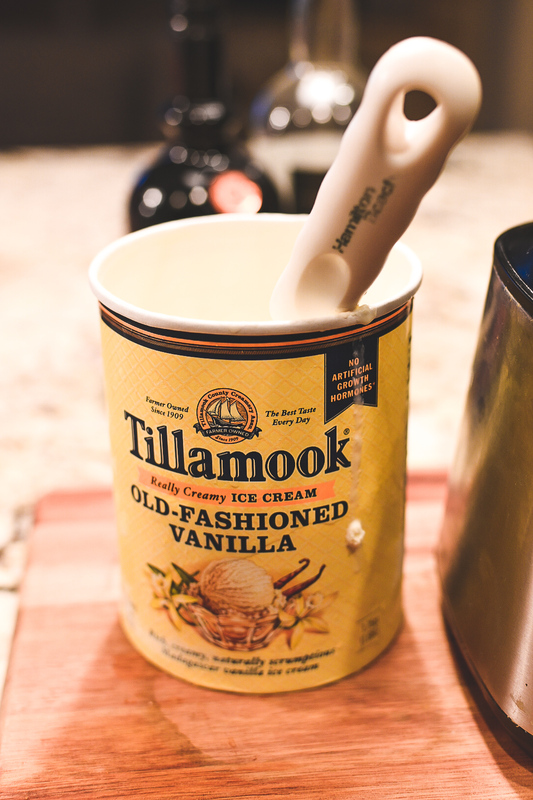 And I thought to myself “I can make a good milkshake at home.” Although that milkshake was really good, I thought like any alcohol drinking adult would…why not come up with an adult version of a great tasting milkshake? 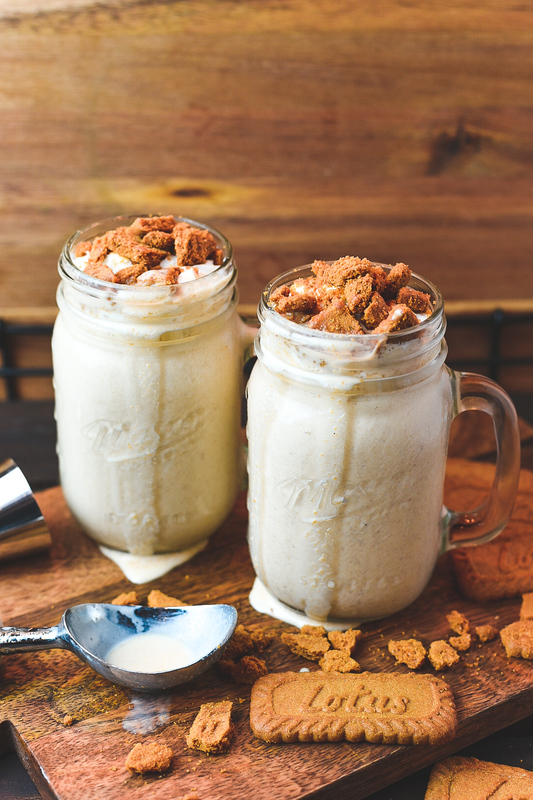 And there was born my Biscoff & Cream Boozy Milkshake. 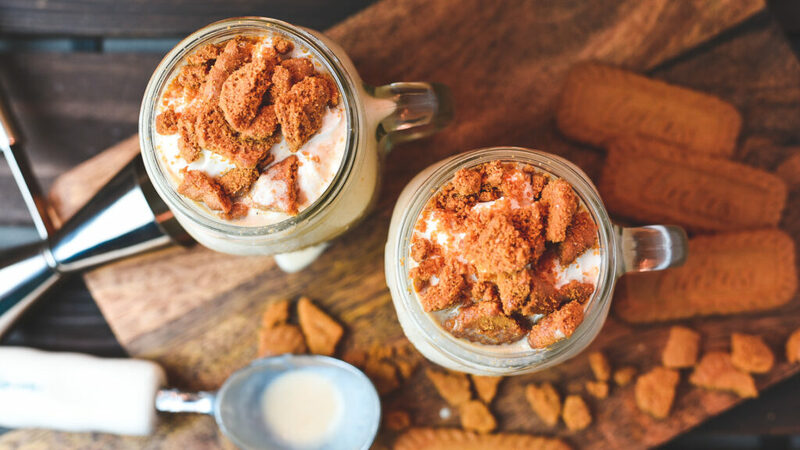 I think my Biscoff & Cream Boozy Milkshake’s are ready to serve! Since I really love Biscoff cookies I figured it would be a great alternative to the typical cookies and creme recipe idea this time around. 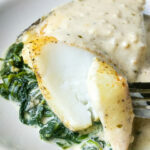 Once you blend these addictive treats with some good ole vanilla ice cream you’ll have yourself a winner, but when you add creamy coconut milk, rum and bourbon cream liqueur to the mix you have yourself something perfect for the 21 and up crowd. Begin by crumbling the cookies and set to the side. 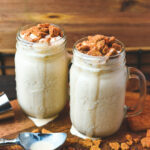 Add Vanilla Ice Cream, Biscoff Cookies (crumbled), Vanilla Extract, Ground Nutmeg, Coconut Milk, Bourbon Cream Liqueur and White Rum into a blender and blend until smooth. 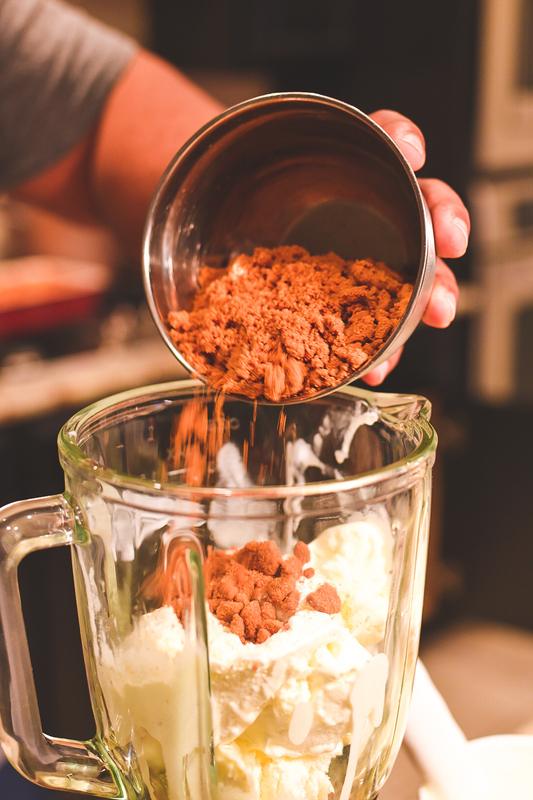 Add blended ingredients into drinking glass and top of with whipping cream and a few crumbles of cookies.